Have you ever wonder is there any substring function or alike language construct to get a portion of the string ? I always do.. and here's some examples on how to do that. start : is the start position of the text ( index begin from 1 ). length : length of the portion of text extracted. 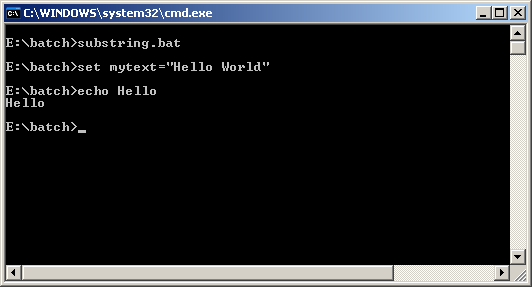 Get "Hello" part from "Hello World" text, i.e. text portion from position 1 to 5 of the original text. 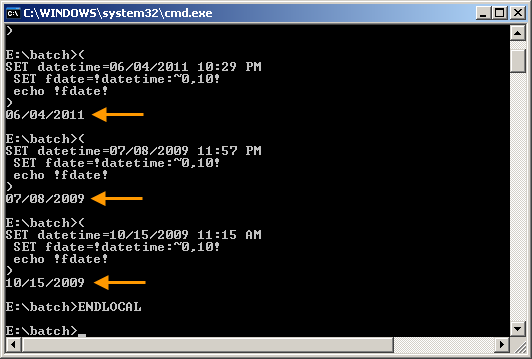 Get and display the modified date portion of every ".xml" files scanned.